A new business in Estacada is focused on connecting people with products to help relieve pain and anxiety. 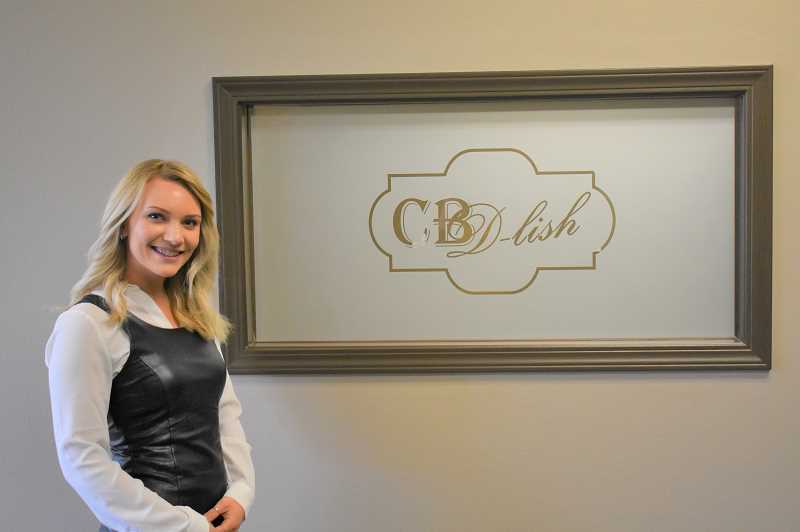 CBDlish, a retailer of hemp-based CBD products, opens Friday, April 5, at 307 S.W. Highway 224. The store also has locations in Portland and Milwaukie. Although CBD, or Cannabidiol, can be derived from marijuana, the products at CBDlish come from hemp and tree bark. Unlike the main psychoactive component in marijuana, THC or Tetrahydrocannabinol, CBD does not lead to intoxication. Though several Estacada bars serve CBD infused drinks, CBDlish is the first store within city limits to sell a broad variety of the products. The business got its start in 2015 when Michelle and Renee Barnes, owners of the Little Amsterdam Wellness Center, a marijuana dispensary with locations in Portland and Milwaukie, wanted to offer a place where CBD customers could feel more comfortable acquiring products. "We wanted to separate it more, so if people are coming from church or their practitioner, they don't have to go to a dispensary for CBD products," said Becki Raines of CBDlish. "We wanted it to be a safe, conservative option that people feel comfortable coming to. Going to a dispensary can be a different atmosphere." Raines will manage CBDlish's Estacada location, which will employ two additional people. Unlike at dispensaries, customers of all ages are allowed in the store. Staff at CBDlish want to ensure customers feel knowledgeable, so visits begin with a consultation about their needs. "Sometimes people don't buy, and they just want to learn," Raines said. "We're used to seeing all kinds of people." CBD is often used for relief from pain, anxiety, insomnia and symptoms from cancer treatment. CBDlish offers a variety of ways to consume the product, including topicals, tinctures, capsules, edibles, sodas, water and bath products. There are also treatments for pets. Some items at CBDlish are "full spectrum," meaning they use the entire hemp plant and consequently contain small amounts of THC. Raines noted that THC in any product is always disclosed, and it is not a large enough amount to lead to intoxication. "There are different strains of hemp. Some have THC, and some don't," she said. Raines, an Estacada resident, is looking forward to doing business closer to home. "We want to be a place where all people feel comfortable," Raines said. "We're here for the community. There's been a strong need for this type of store." CBDlish, a retailer of hemp-based CBD products, will open on Friday, April 5, at 307 S.W Highway 224. For more information, visit www.cbdlish.com.